Treknology3 Year End Sale is here! From 1st to 3rd December (Fri to Sun) 2017, Treknology3 will be running a mega sale at up to 70% off on selected products. 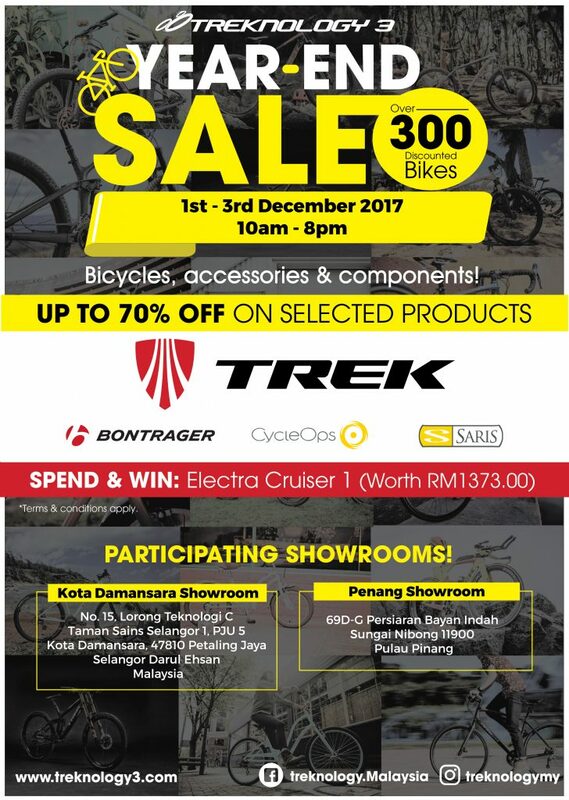 Over 300 discounted bicycles up for grabs at participating outlets Treknology Kota Damansara and Treknology Penang! On top of the sales, you also stand a chance to win an Electra Cruiser 1 (worth RM 1,373) with any product purchase at participating outlets during the 3-day sale. To qualify for the lucky draw, just make a purchase and provide your Name, Email and Phone Number at the cashier.